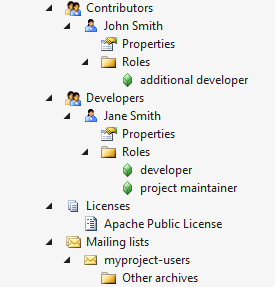 Maven project is opened in Visual Studio. You can find instructions how to create a Maven project in this section. You can also find an overview of Maven projects in this section. You can find more information on these data elements in this section of Maven docs. Managing these nodes is done is same way as other ones: usual Add / New item, Remove, Rename and Properties options are used, where applicable.